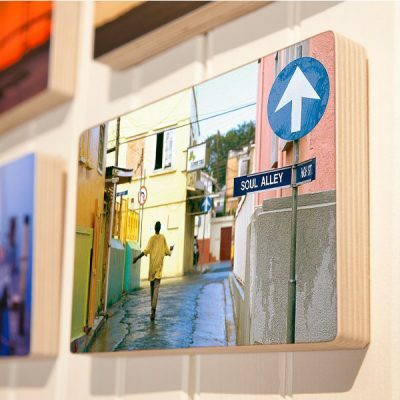 View cart “Walking Down Soul Alley – photoblock” has been added to your cart. 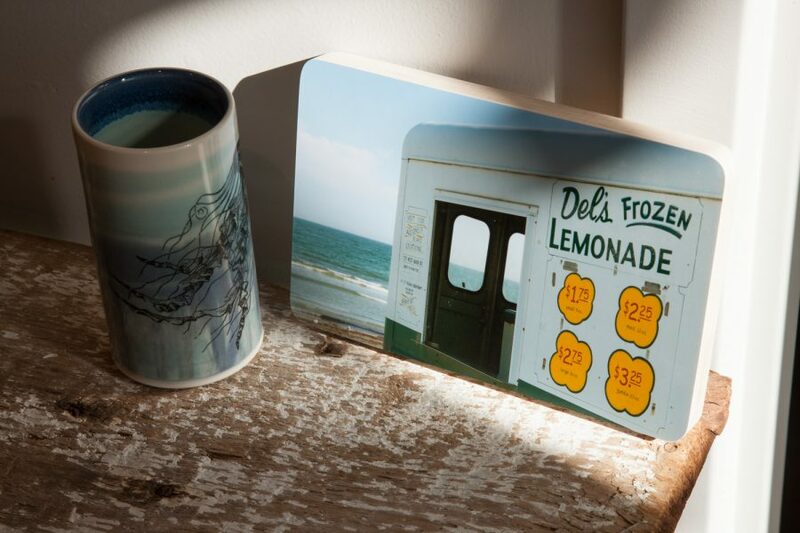 Del’s photo block next to a mug for size. 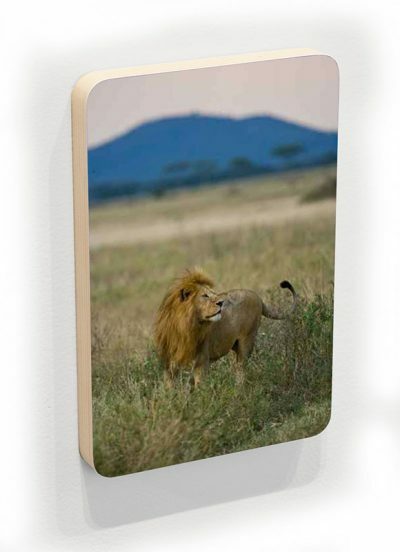 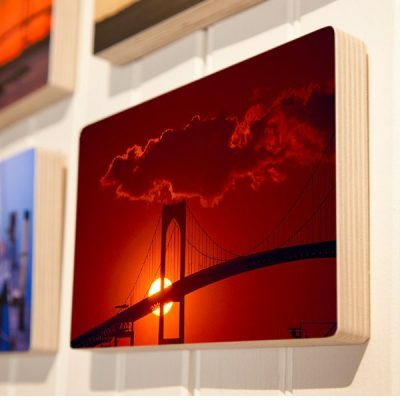 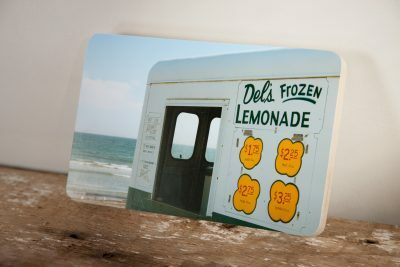 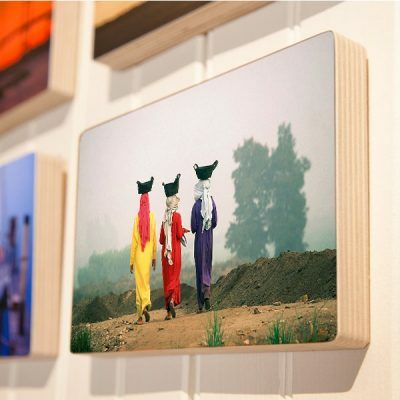 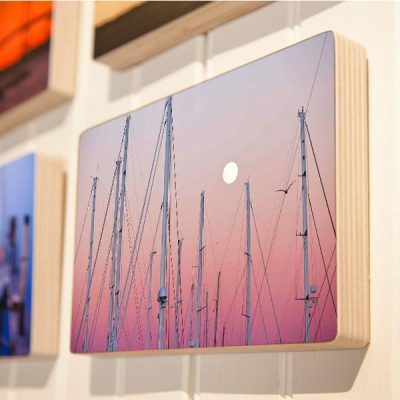 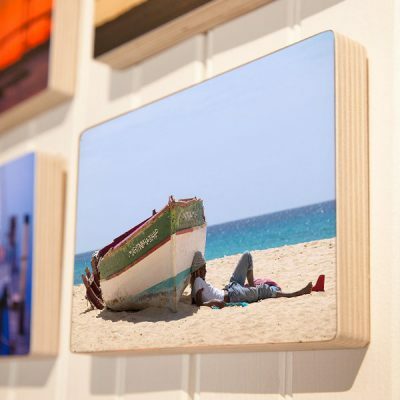 Photo blocks fill those little spots in a home, they group in sets, don’t need framing, and make great gifts. 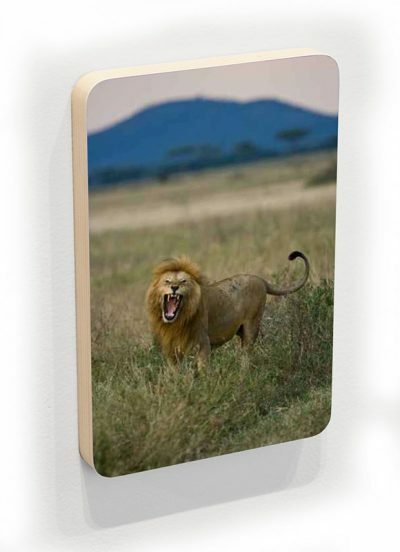 They come ready to hang and can also stand on edge. 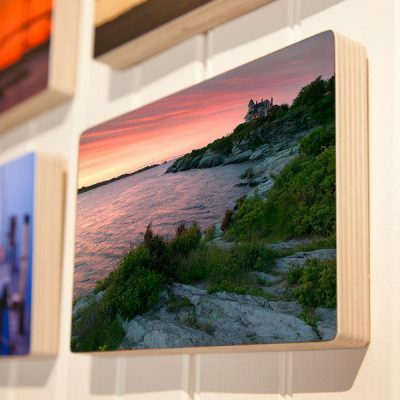 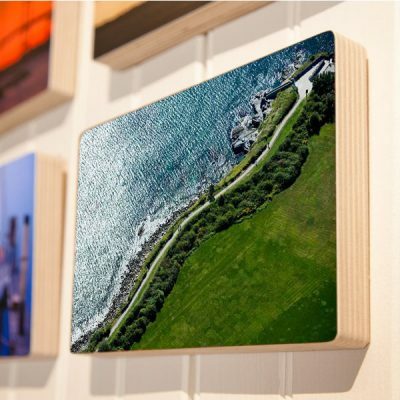 Baltic Birch plywood photo blocks are a unique style of small photography artwork made one at a time, by hand, by photographer Alexander Nesbitt in his Newport studio. 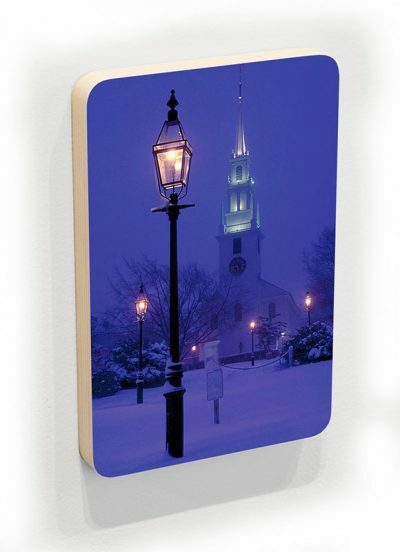 In 2010 Nesbitt developed the best version of a photo block there is with a unique adhesive and coating technique. 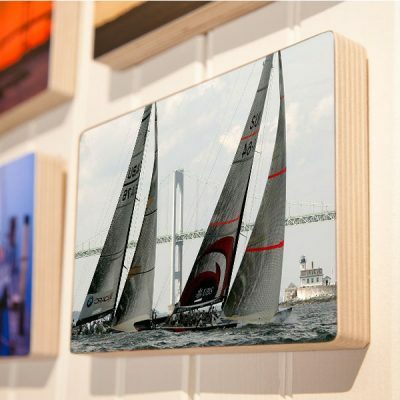 Also unique is the hand sanded edge which gives a perfect finish with his signature rounded corner style.